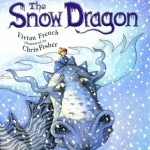 Well just looking through all the pages of Amazon and there’s bundles and oodles of dragon books out there. It’d take forever to test them all out and even longer to list each one of them and give them a review, so rather than do that I’ve listed lots of them in one post. I’ve endeavoured to only list those that get a pretty high customer feedback score so you can peruse at your leisure. The classic song turned into a book. Welcome to Honalee, an enchanted land of imagination and love. 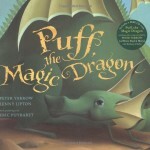 In this special place, you can share in the adventures of Jackie Paper and his childhood friend, Puff, the magic dragon. The timeless Peter, Paul and Mary song is now an unforgettable children’s book. Become lost in the dreamy illustrations that capture the magic of Honalee and its extraordinary inhabitants, then enjoy two vibrant new interpretations of the song plus two other tracks (Froggie Went A-Courtin’ and The Blue Tail Fly) on an exclusive free CD. 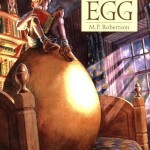 George, the hero from M. P. Robertson’s The Egg, has returned in this brand new dragon adventure. George is bored. When it comes to fighting, chickens aren’t nearly as much fun as dragons. 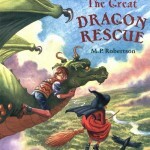 But when George’s dragon returns, he whisks him off to a fairytale land on a rescue mission. A wicked witch has captured a baby dragon and George realises that he must outwit the witch in order to free the dragon and prevent himself from being turned into a toad for the witch’s barbecue. 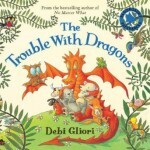 George knows something isn’t right when he finds more than he bargained for under his mother’s favourite chicken, and he soon finds himself looking after a baby dragon. George takes his job as a parent seriously, teaching the hatchling all sorts of ‘dragony’ ways, but the dragon begins to pine for his own kind, and one day he disappears. The world is populated by some beastly dragons who care nothing for how much they pollute the oceans, chop down the trees, gobble up all the food and use everything up without stopping to think. 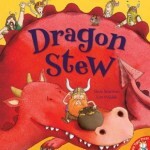 Those dragons need to wake up to what they are doing to their world before it is too late …An energy-filled picture book that addresses concerns about the environment in the most child-centric and delightful way possible. An entrancing story, lyrically told and gorgeously illustrated, which will be appreciated on a variety of levels by children from pre-school to 8-year-olds and older. It’s Princess Florrie’s birthday. She is tired of all the usual entertainment – jugglers, jesters and acrobats and wants something a little unusual for her party. Something like a dreadful dragon. The rest of the palace is convinced he’s too dreadful, but Princess Florrie likes a challenge so she decides to write him a letter! 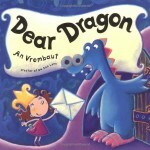 Princess Florrie and Dear Dragon appear again in another exciting adventure – jam packed full of dragons with an endearing message of friendship and acceptance. 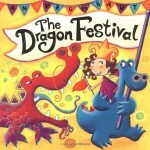 There’s a Dragoneering Competition at the castle and Princess Florrie thinks Dear Dragon should enter, but he’s not sure that blowing bubbles is really a very dragoneering kind of skill!